Spotless is Australia and New Zealand’s leading integrated facilities management services provider. Spotless’ team of 36,000 people provide essential services to the everyday running of businesses. See Spotless’ Corporate Profile to learn more. The Spotless Hack @ the ‘G is Melbourne’s premier IoT Hackathon, powered by Startupbootcamp, one of the world’s top Accelerator programs and being run at Melbourne’s iconic MCG! This is your chance to design and build something awesome, accessing the latest IoT technology supplied and supported by Amazon Web Services, Thinxtra, Sigfox and Cradlepoint. We’re looking for ideas that solve real problems and ideally you’ll develop a working prototype that you can present to the judges. 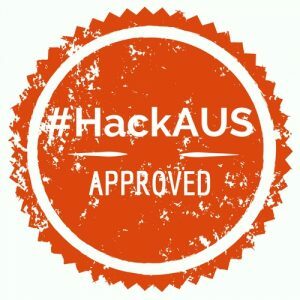 Whether you’re a professional programmer, hackathon veteran, university student or curious individual, Spotless Hack @ the G welcomes everyone, regardless of experience or technical ability. You’ll learn from our technical experts either during the lead up seminar series or throughout the event, as well as from world class mentors and fellow hackers. It’s a great way to meet new people, learn and access the latest IoT tech and win great prizes. So what are you waiting for? Sign up now! Never been to a Startupbootcamp Hackathon before? Checkout what they’re like – here’s a video from our InsurTech Cyber Hackathon run in London this year!